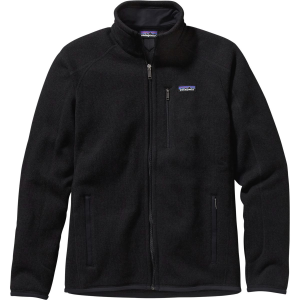 Patagonia couldn’t have gone with a better name for the Men’s Better Sweater Fleece Jacket. After one day in the Better Sweater, you’ll probably throw out your old cotton sweatshirt. After all, why would you wear fleece every day in the mountains and then go back to cotton in town’ Despite the casual cut and style, this soft Patagonia fleece easily makes the cut for technical wear. Midweight fleece makes this piece ideal as both a midlayer and a casual around-town top.